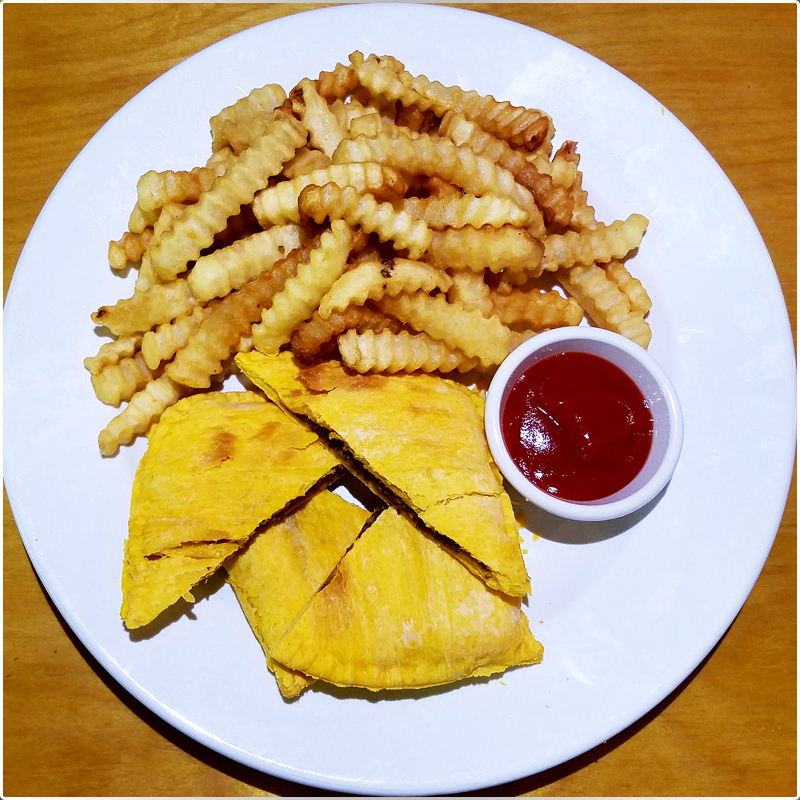 Moreish Jamaican pattie(s), crispy pastry exterior, your choice of Mild Beef, Spicy Beef, Chicken, or Veggie filling complemented by aromatic herbs and spices. Pictured Mild beef pattie x2, with fries. Served with fries if requested.